Conveniently located on Sheikh Zayed Road, this shopping center offers a wide variety of goods ranging from electronics, home furnishing, kids fashion & toys, car accessories and other strong offerings. 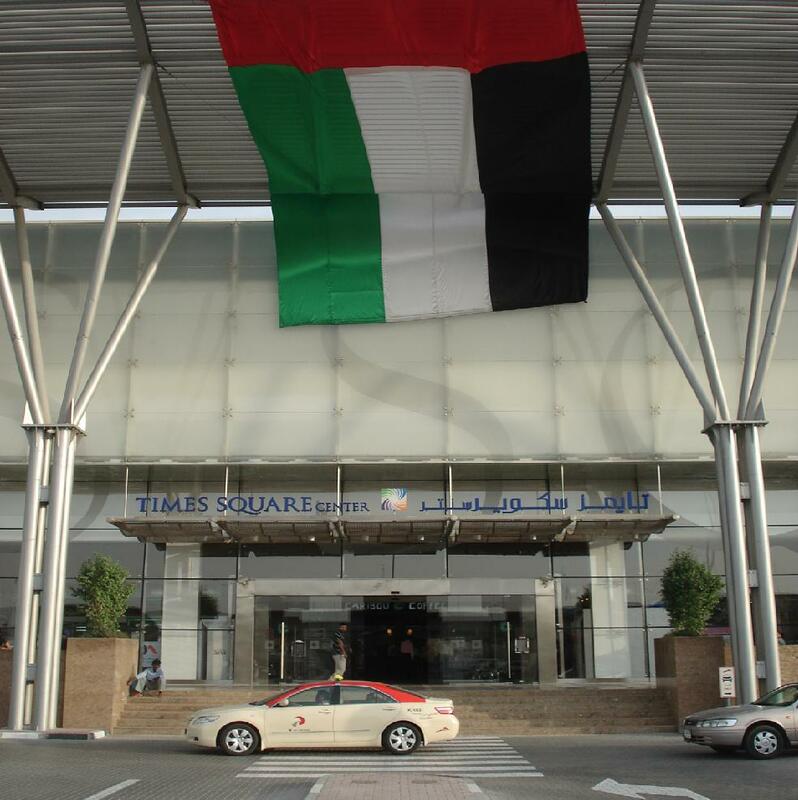 Times Square Centre enthralls even the most seasoned of shoppers because of the countless shopping options and gracious environment, and is the one stop visitors drop by to complete their shopping experience when in Dubai. The mall is spread across 2 floors and also houses the largest electronic superstore in town. Adding more convenience for the visitors, there is valet car parking not only outside the mall but also a huge parking facility in its basement. Besides shopping, there are other entertainment activities for visitors. You can also visit Middle East’s first ever Ice Lounge located inside the mall. In addition, there are various cafes and restaurants wherein your parched lips and a growling tummy can be satiated with delectable and mouth-watering meals. Times Square Centre operates from 10 am to 10 pm Saturday to Wednesday, while on Thursday and Friday, the timings are 10 am to 12 am. Since there isn’t any metro station in the vicinity of Time Square Centre, so a visitor has to flag down a cab or go by bus in order to reach there.